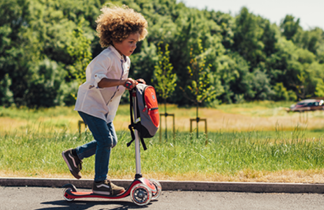 Step aboard the mighty Plum ® Bison and embark on even bigger adventures in the ultimate garden playcentre. 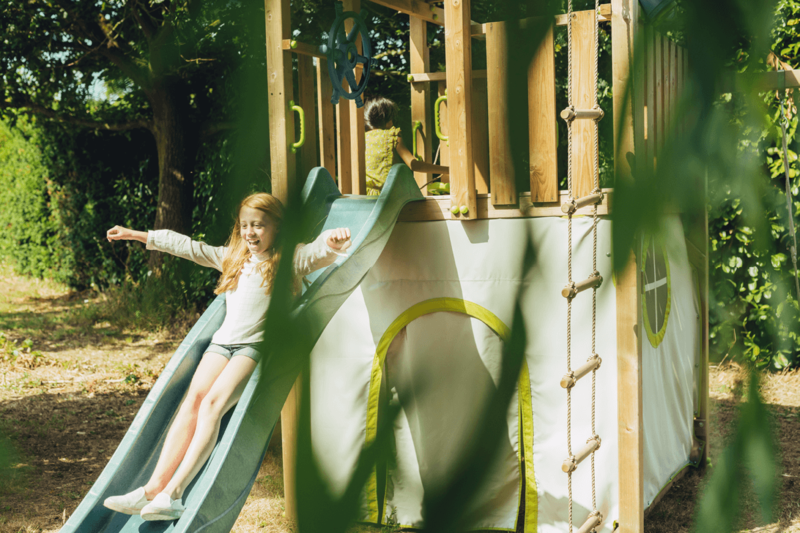 This complete climbing frame is built for playing and socialising with friends. 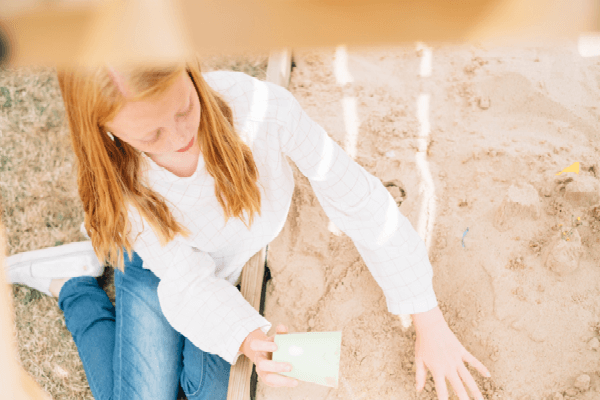 The extensive array of features create a world for imagination that will keep your children engaged in hours of outdoor, active play; all year round. 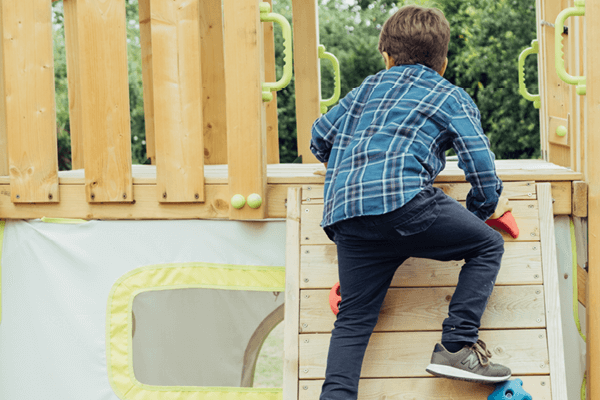 The Bison Wooden Playcentre features an 11ft play tower with 5ft high deck and wooden pyramid roof, a large play den, 10ft wave slide, a rock wall with colour pop grips, periscope, binoculars, single swing and two-seat Glide Nest Swing! If that wasn 't enough, there 's a 3ft lower deck lookout platform with a slanted wooden roof, 6ft wave slide and steering wheel; children can access the lower deck via a climbing ramp with rope handrails and comfortable hand grips. A sand pit is sheltered under this platform. 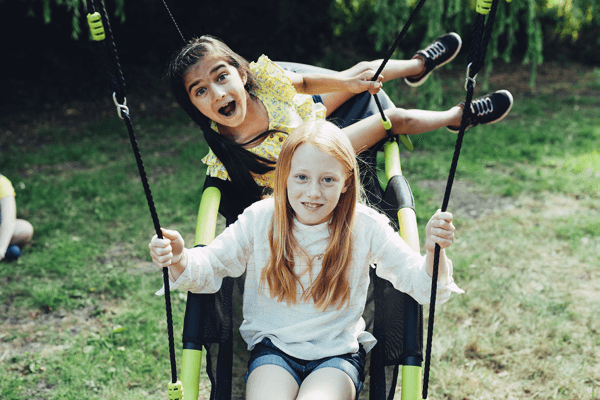 The premium and sustainably sourced FSC® certified timber on this playcentre is extremely strong; the swings have soft feel ropes with a heavy duty blow moulded seat for extra durability and comfort. 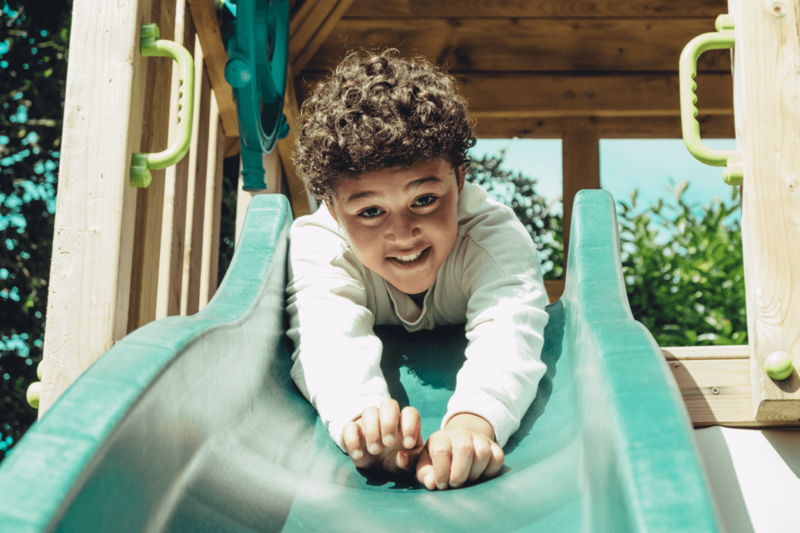 Your child 's safety is our top priority which is why there are hand grips and hand rails positioned throughout the playcentre to make sure your little ones are extra safe and secure when climbing. The Bison will bring the park to your own back garden. 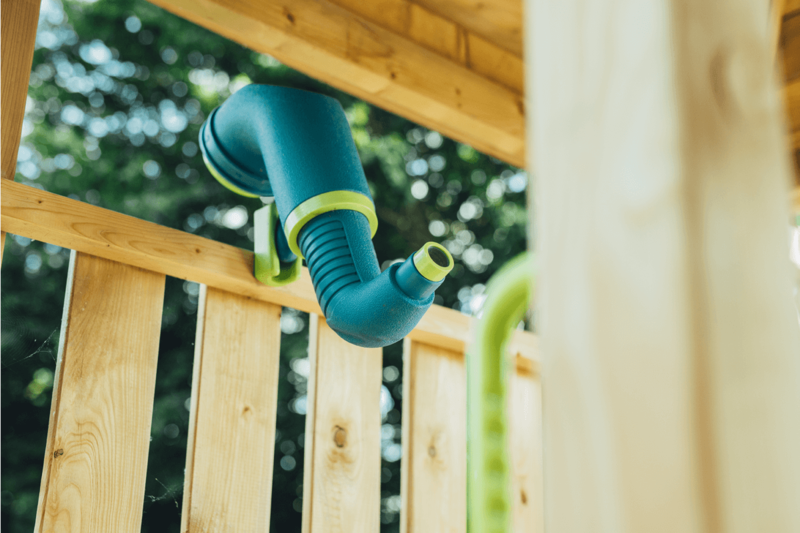 This ultimate playcentre is packed full of features to keep the kids engaged in outdoors, imaginative play for hours. GLIDE NEST SWING FOR TWO! Featuring only our best swing accessories, the Bison comes with our premium streamline glide nest. Lounge, swing and glide; this nest swing takes up less space on the swing arm, making room for two traditional single swing seats. 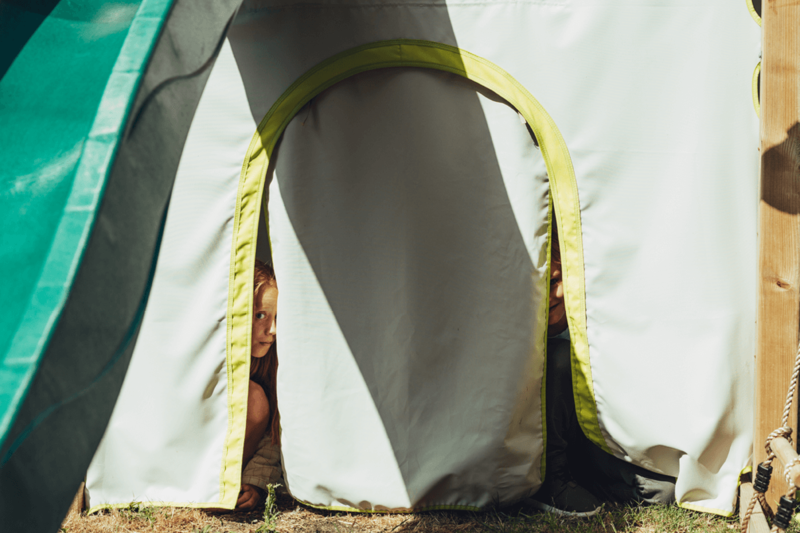 The Bison also features its very own fabric den with fold down door, so kids can hide out and make their own secret clubhouse with friends. 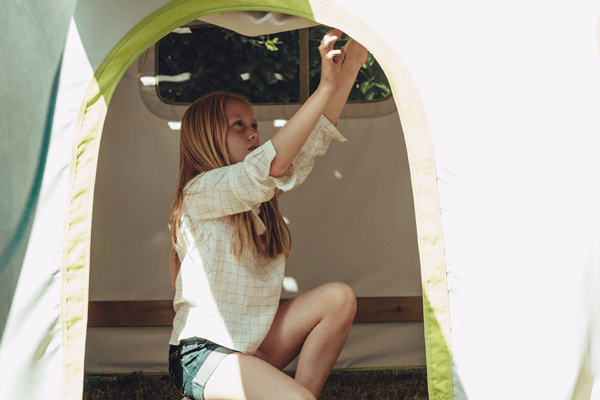 The weatherproof fabric is machine washable for easy care. 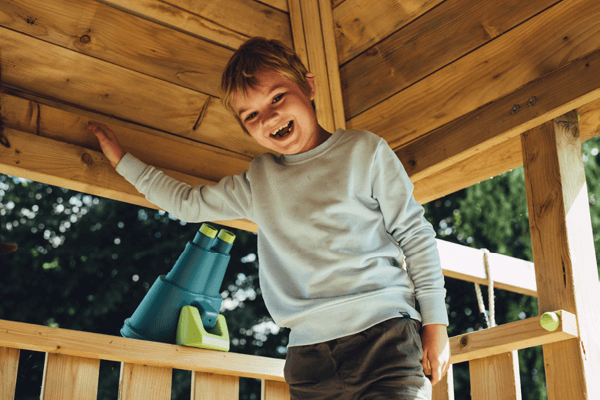 With two lookout towers, your little ones can explore different levels and new heights as they develop through play and their confidence grows. 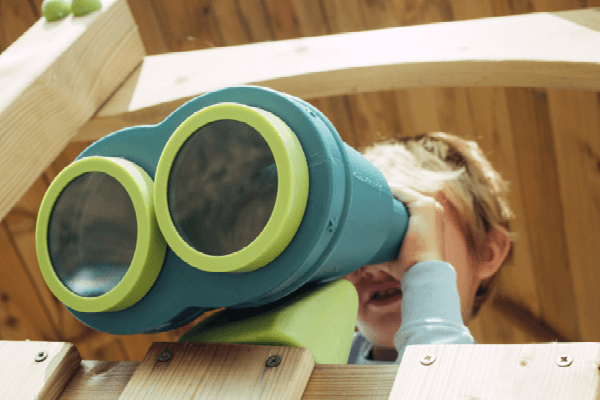 The kids can have even more imaginative fun with periscope, binoculars and steering wheel located in the lookout towers. We ensure that all our timber and timber based products are sourced from sustainably managed forests. 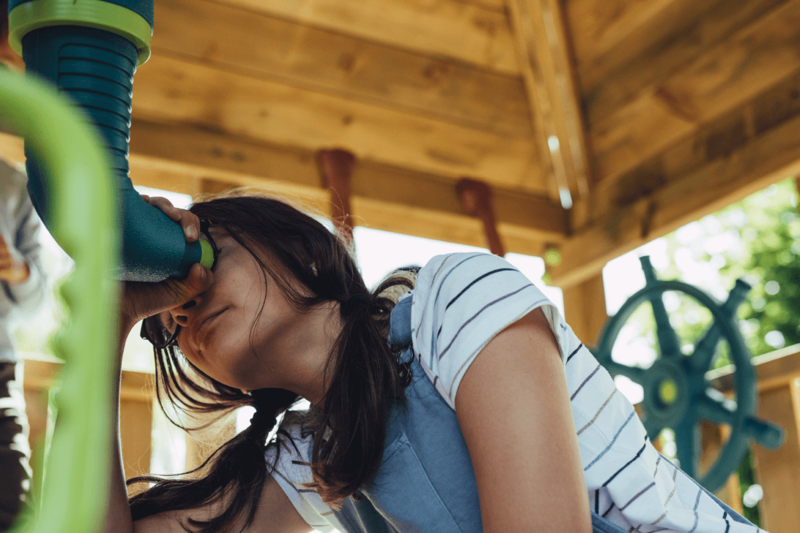 All wood used to make the Bison Playcentre is FSC® certified, making your play equipment kind and friendly to the planet. Please allow a 2m safety perimeter. Adult supervision required at all times. Not suitable for children under 36 months – fall hazard and small parts – choking hazard. Minimum user age 3 years maximum user age 12 years. Outdoor use only. Only for domestic use. I’ve spotted the enemy, all hands on deck; we’re turning the ship around. I’m ready to take them down! Nobody messes with us! I’ll wait up here and keep lookout. Let’s get below deck and make a plan in the hideout. The den is the perfect place to plan against the enemy. They’re coming! Is everybody ready? We’ll teach these pirates a lesson!